Many organisations today have developed their safety policies to include a set of principles or values that articulate their expectations for safety in the workplace. These often include the assertion that every accident can be prevented. Even with such laudable proclamations, as dedicated and seasoned practitioners, most of us – as realists – might at the same time dare to admit that no accident is ever truly unavoidable. And in this modern world in which we live and work, especially post-recession, it could be argued that making money is perhaps impossible to do entirely without risk. While good safety management systems, thorough policies and procedures, and effective training courses have undoubtedly prevented hundreds and thousands of injuries at work and reduced accident and injury rates for companies around the globe, many organisations are still finding themselves on a performance plateau. We’ve steadily made progress in the right direction year on year, but now despite finding ourselves closer to our target, it still manages to evade us. In an age where technology advances faster than we can imagine, we turn to - and diligently order and install - the latest gadgetry; whether that’s automated guarding or the most advanced gas detection, in an attempt to make things even safer. Almost any occupational safety book or journal we can pick up nowadays will tell us that up to 90% of all accidents are caused by human behaviour. So when the accidents continue to occur we tend to realise that our focus should now move to behaviour. This figure of 90%, or 96% as the UK’s Health and Safety Executive (HSE) now suggests - always brings a wry smile to my face. Of course behaviours are part of the root cause of almost all accidents – almost all accidents involve human beings. Humans are complex creatures and we are subject to influence from a broad variety of factors. Rarely is a documented procedure, a clearly articulated rule or a piece of sophisticated equipment sufficient to ensure sustained positive behaviour. Assessing safety risks in the workplace is a tough challenge. Their breadth is one aspect – whether from the natural to the technological, or the physical to psychological. Within these themes, scales of tolerability – typically ranked in numbers or in words from ‘low’ to ‘high’ – proliferate. With such diversity, attempting to assess risk from one common measurement approach is meaningless. You see, when it comes to matters of risk it isn’t all black and white. While your gas detection system will certainly sing out when the risk from a particular airborne contaminant reaches a set level, people just don’t do the same thing, do they? Let’s pause here for a question: when is the best time to address risk? Whether it’s the risk from workplace gases or any other hazard or task, clearly the best time to address risk is at the planning stage, rather than out in the field when the job is being performed. Carefully selecting the right type of gas detection equipment is a crucial first step to safety. If you are a forward-thinking safety practitioner you’ll likely be thinking it’s good practice to have as much input as possible from those doing the job and may use the detection equipment at this planning stage, seeking to include them. You’d be right to do so. In fact, it’s not simply good practice - I’d argue it’s essential. As workplace gas detection equipment becomes ever-more sophisticated and more tightly focused on constant observation and measurement, there grows a risk that as we indulge our reliance on technology we may forget to remember that it’s just one part of our risk control strategy. While careful planning is indeed vital, we need to extend our thinking to understanding the behaviour of those in the workplace. Risk is all about perception. How probability, severity and exposure are viewed and assessed will depend upon each person’s perspective and experience. Within an organisational setting groups of people will naturally hold differing views on risk due to their own personal sensitivities. Some may be concerned about practically all workplace hazards, whereas others may appear indifferent. This variation is caused by each person’s cognitive consideration of risk perception: the probability of an accident occurring, coupled with the emotive aspect – how worried or safe they feel when they think about a specific risk. Unlike your gas detection systems, people aren’t all calibrated to a commonly agreed set-point and almost all people are naturally biased when it comes to assessing risk. We use reference points anchored deep in our brains to compute the level of risk we believe we face, and act accordingly. 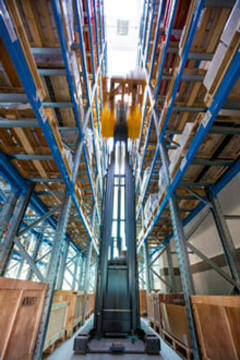 For example, one senior leader I have worked with views all forklift truck activities as very high risk. It matters not to him that drivers are trained, wear seatbelts and observe speed limits. Instead, his reference point is an event several years ago in which one of his employees suffered a fatal accident involving a forklift. As you would expect, this event resonated deeply with him as a site manager and has created such a deep anchor inside him that now he views all forklift activity with the same high degree of risk. His personal commitment to observing forklift activities every day is second to none and his hyper-vigilant mind is always switched on to ‘challenge’ mode whenever he’s out in the yard or warehouse with the trucks. Whenever he is around, he’s convinced the forklift drivers are safe. Another example is of someone long experienced in the art of brewing, who views the risks from carbon dioxide as low – to the extent that he never bothers to pick up his gas meter when he heads into the fermentation halls of his brewery to check on progress. His love of technology shines through as he demonstrates how he can monitor the progress of his beer using an app on his mobile phone. As he comfortably climbs onto the catwalk, straddling the open-top brewing vat, I ask him why he doesn’t use a personal gas meter. His reply is that he’s never needed one and that the company’s top of the range gas detection system would alarm should there be any danger. With almost comedic timing, it’s exactly at this point that my own personal gas meter starts to beep. The sophisticated system hung from the ceiling remains silent. So too does the worker, as he continues with his work on a ladder above a swimming pool-sized tank of bubbling, gaseous beer. On the other side of the hall, I notice the shift supervisor turn her head to hear my alarm and then walk away. • Driven your car above the speed limit? • Smoked cigarettes? • Consumed your entire weekly allowance of alcohol in one session? • Driven while under the influence of alcohol or when unsure if you were below the legal limit? • Had an intimate encounter with someone you really didn’t know that well? • Used a mobile phone while driving? • Consumed any form of drug not prescribed for you by a medical doctor or pharmacist? • Placed a financial bet without expert knowledge of gambling? • Tried skydiving or engaged in another extreme sport? It’s likely that you will have answered yes to at least one of these questions. As human beings we are all capable of taking risks. We are tempted to take the risk because our brains perceive some sort of soon, certain and positive consequence. For example, we break the speed limit so as not to be late for an important meeting, or we use the phone while driving to make an urgent call to our child’s school. This mind trick is also at play when it comes to safety rules at work - you can find the evidence at your fingertips. Analysing your own workplace accident data, how many times can you identify a breach where someone thought a risky situation would be okay because it would only take a minute? Or stuck their hand in a moving machine because when they’d done it before it was okay? We must find a way to avoid being caught in this trap. We need to find a way to raise our consciousness when it comes to risk perception. One of the pioneers of risk thinking, James Reason, recently suggested a helpful way forward. Reason’s Knotted Rubber Band model, as shown in Figure 1, suggests that in order to flourish and move forward in today’s world we need to get the balance right between comfort and challenge, to get ourselves into what he calls the mesh zone – that is, the position where we can operate optimally, in a state of flow. For most people, this flow state or mesh zone is about having just enough stress to get us motivated and working at our peak potential. If we are too comfortable and relaxed we place ourselves at risk by being not dynamic enough to truly thrive - or perhaps even survive. We also need to take care not to end up in a state of increased vulnerability due to an over-reliance on an individual person – Reason likens this to an overstretched rubber band. Many of the above examples come from organisations where management remained comfortable about hazardous situations because there were no ‘alarms’ singing out to challenge them. Only when things went disastrously wrong did it become clear that there was in fact an accident waiting to happen. Robust policies, procedures and engineering solutions are essential if we are to continue to maintain our good progress in workplace safety, but they won’t take us to our ultimate goals on their own. The most effective risk management programmes are the ones where everyone truly knows the risks within their area of work, shares the same perceptions of these risks, and understands what needs to be done to monitor, manage and mitigate them. Risk management, like gas detection, is a continuous operation for every organisation. Raising the capability of our own personal ‘detection systems’ and getting into the ‘mesh zone’ to ensure that we are always fully switched on to what’s happening around us can help us to continually share and shape the perceptions of ourselves and those around us. Through effective dialogue, conversation and communication, organisational leaders and workers alike can embrace risk and manage it appropriately.